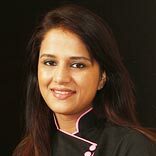 An interview with Chef Shipra Khanna, Master Chef Winner & Author. In a candid chat with Franchise India, Chef Shipra Khanna talks about her journey in Master Chef II, the menu tweaks she applies and the F&B trend in the industry. How does it feel to be heard as Master Chef India? It sounds great to be heard as Master Chef winner. It is a great platform for a person like me who is so passionate about food. I always experimented with my food. Trace your journey from winning Master Chef to Spice Route? Winning Master Chef was a platform for me to be there where I wanted to be. Now I am exploring food and ingredients that we Indian’s haven’t come across. Even the people in the remote or the sub urban areas don’t know much about it. That is my spice route in India and abroad and I travel, I see the world, I cook with new ingredients. What is the current menu trend and what can be the next? According to me or as I always believe the future of India is regular dining with good flavours, less spicy food, good portion size with less oil. The menu needs to be very short and the food should be affordable. We as Indian do not want to make money but as I chef I would like maximum people to taste what I cook. People today have become more conscious when taking food. What is the reason? Gastronomy is the art and science of food where you can divide and break down the food to the fat, the vitamin, the minerals or the protein it has. So ultimately you have a chance to know whether it is healthy or unhealthy. What menu tweaks do you apply in your recipe? I use a blend of flavours like the Italian and Indian, Indian and French and many more. I have opened my restaurant in Ahmedabad, named H.O.T, in which I have introduced fusion and Indian cuisine. What should a restaurateur look for in a chef? A restaurateur should always look at a chef who is flexible, open to ideas and experiment with new because everybody wants to go by the new trends. So, the main thing that a chef should have is a good grip on food. Tell us about the business plan that you made before starting your restaurant? My restaurant is located at a very posh area in Ahmadabad and location was the first thing that I have worked upon. Marketing and the PR are the biggest trick we are working on.